1. is also known as the Red Island because of its distinct red soil/earth. 2. is the 4th largest island on earth [about three times the size of England] and the 46th largest country. 2. is a biodiversity hotspot with 8 out of 10 species found nowhere else in the world and many still to be discovered. 3. is the home of the lemur [my favourites are the Sifaka and the Black-and-White Ruffed] and vanilla [yummm-y]. 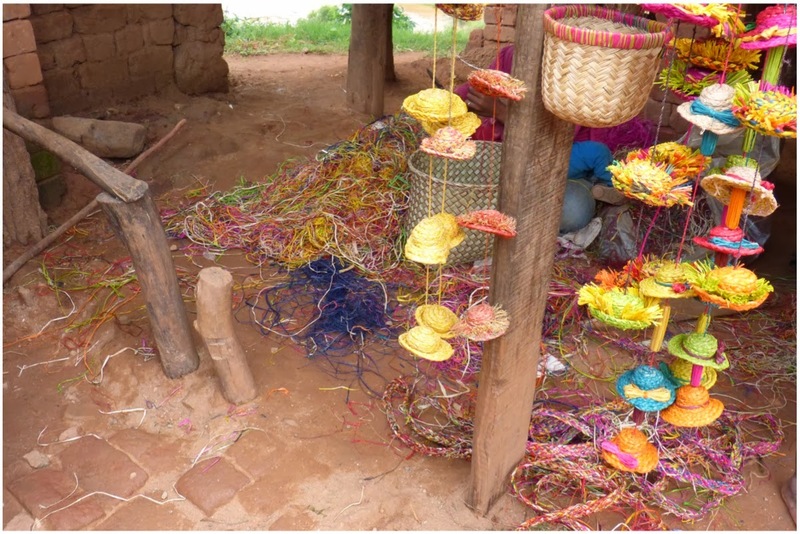 5. is one of the most impoverished countries in the world with 82% of people living on 32p or less a day. 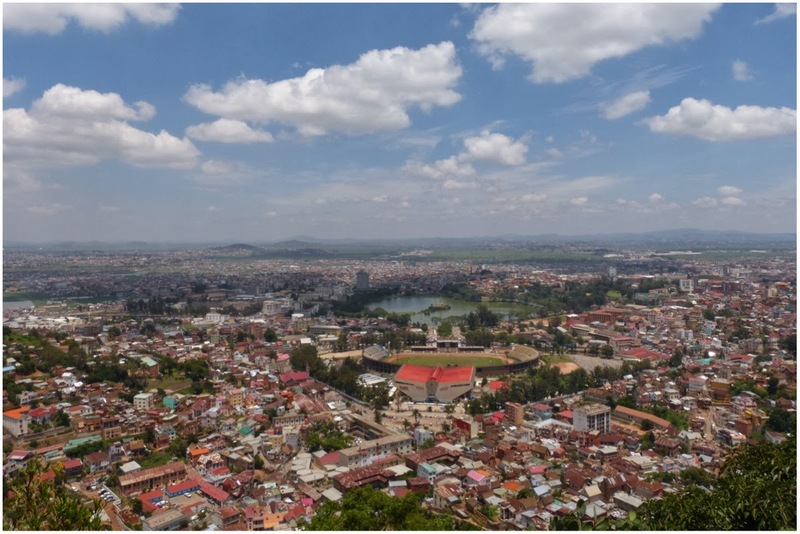 This is Antananarivo, Madagascar's capital, from one of the highest points in the city next to the Rova, aka The Queen Palace. It's one of the best views of the whole city so if you ever manage to get there make sure you go. I mean, just look at it. I always feel very calm when I see a view like this. From here you can also see the famous Lake Anosy, also home of the Black Angel monument. You can also see the Hilton from here (next to Lake Anosy) but that's not really a landmark per se. 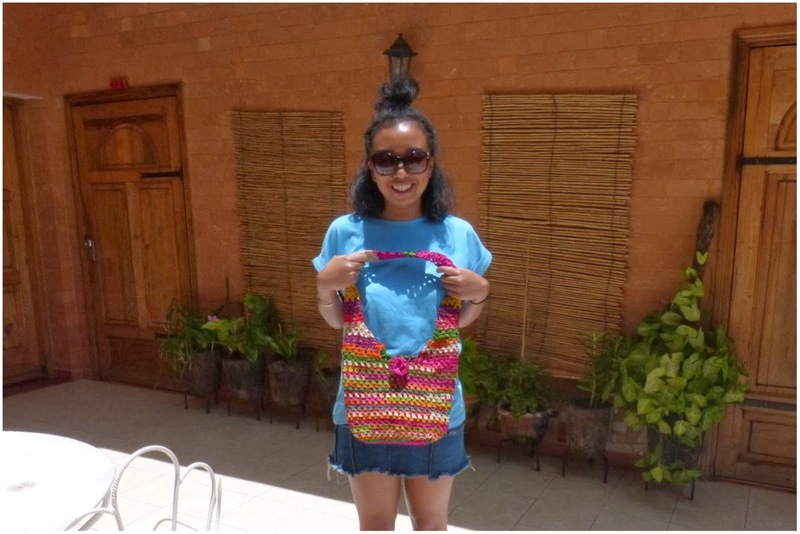 During my visit, I stayed at the lovely Antshow Arts & Cultural Centre. 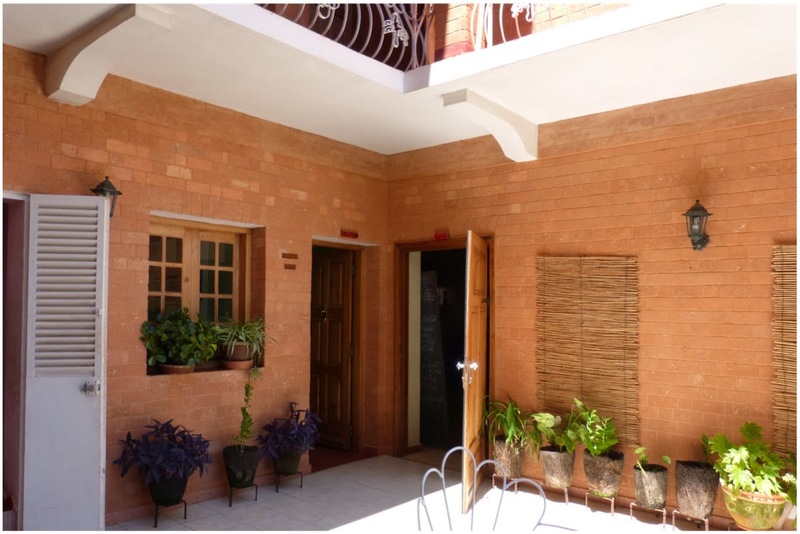 It's made out of traditional red brick [thanks to that lovely red earth] and has been built using traditional methods. (1) I love the courtyard at Antshow because it was just a great place to chill out: sunbathe, read and eat - everything you'd need on a holiday really. 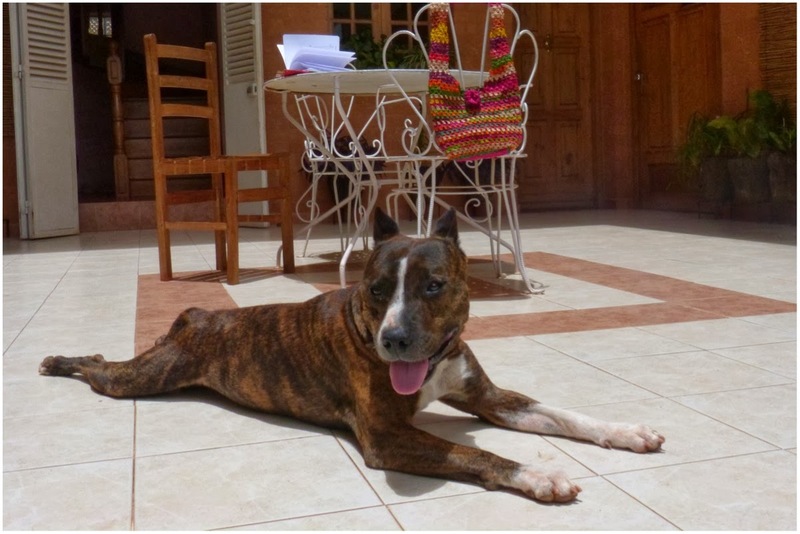 (2) This is Tiger, one of the beautiful American Amstaffs that lives at Antshow. Isn't he just such a cutie! He loves to sunbathe and this is his favourite position which I call "the frog" because he properly spreads himself out like one. 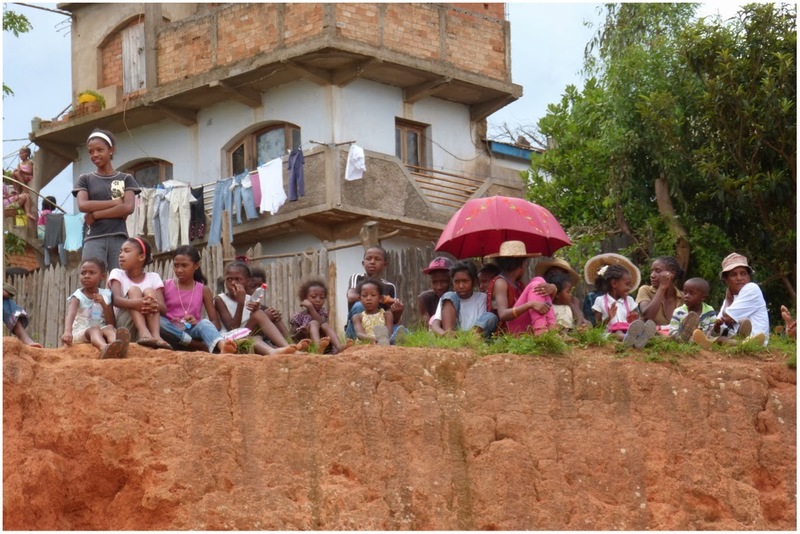 I mainly stayed in Antananarivo during my visit using my time to catch up with family and just immerse myself back into Malagasy daily life. It had been a good few years so I wasn't short of things to do! 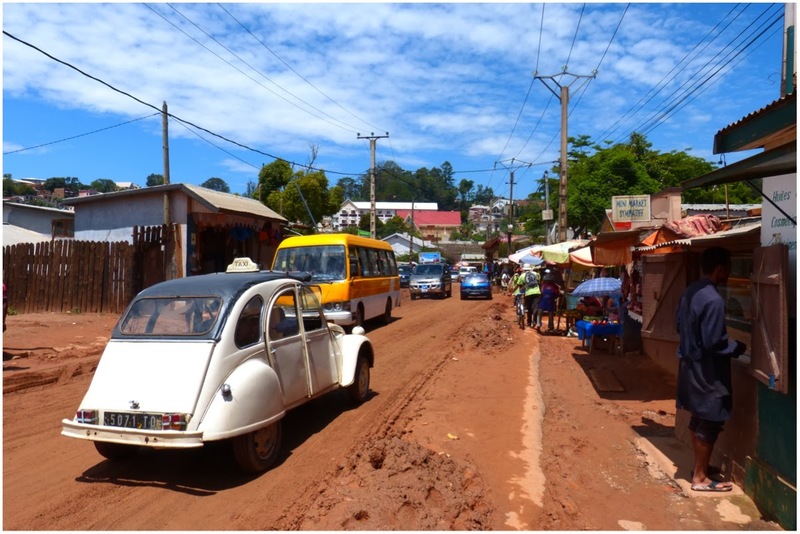 Although my Malagasy is slightly more foreign-fied now, it was great to brush up and feel part of local life again. Integrating was made that much easier by all the friendly, smiley faces too. 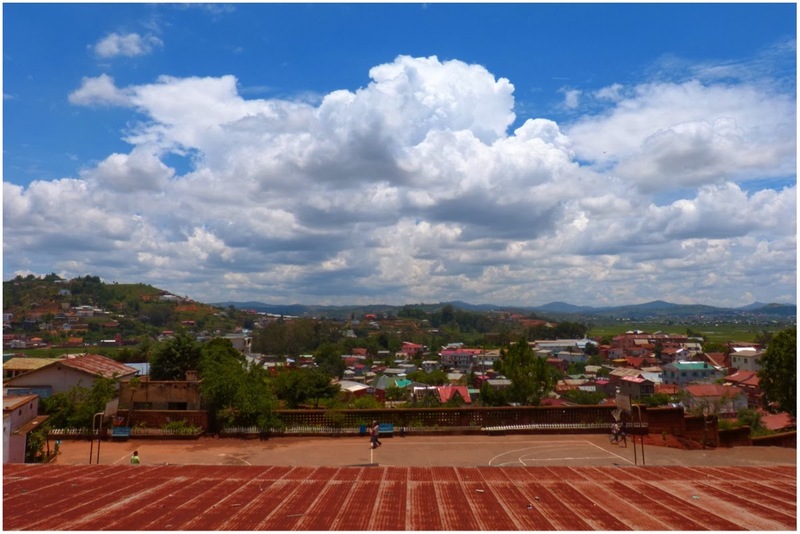 (1) Visiting a primary school in Mazoarivo and admiring the view. (2) People watching and umbrella admiring under the burning sun [it was about 30 degrees, mmm my favourite]. 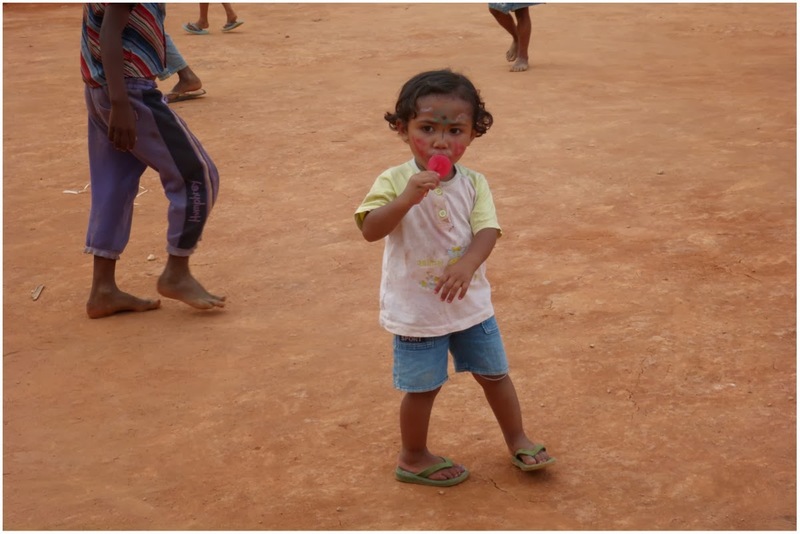 (3) Enjoyed watching this cutie while she ate her lolly and danced around with her friends. 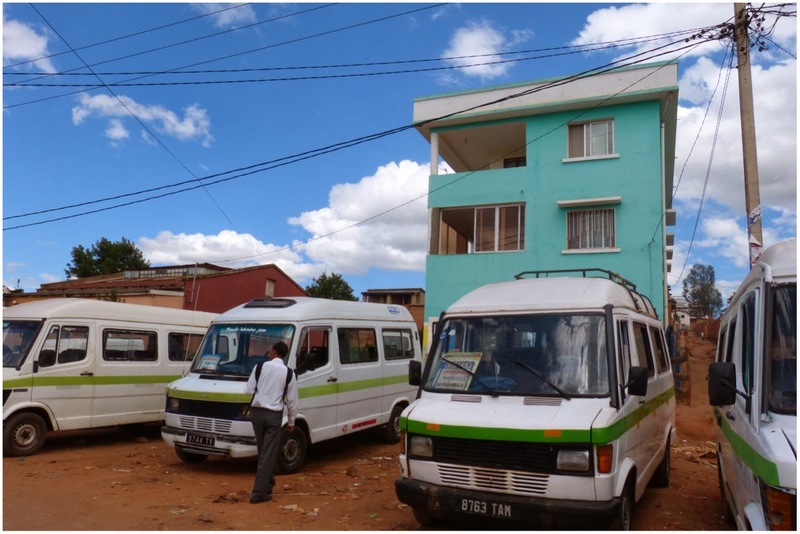 Although it is the capital, staying in Antananarivo doesn't mean that you only get to see built up city life. Just a 30 minute drive out and you get into the start of the beautiful countryside. 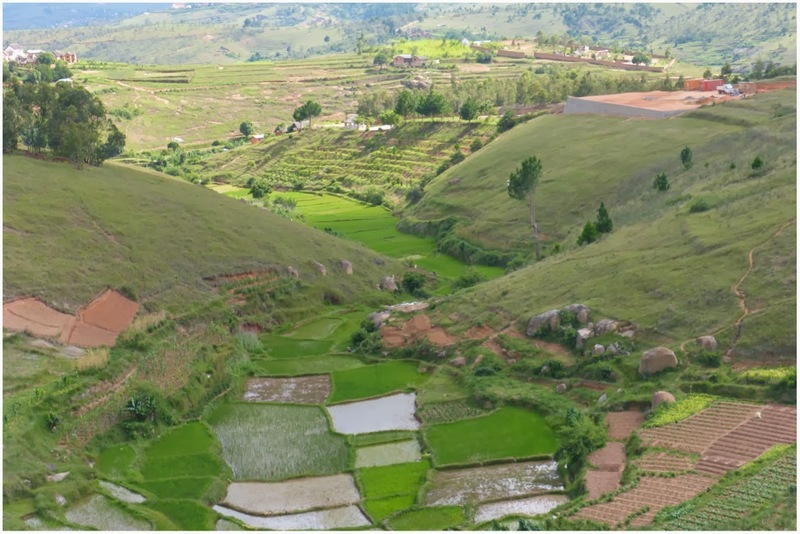 One of my favourite landscapes in Madagascar is seeing houses in the middle of rice fields with jungly, green hills in the background. 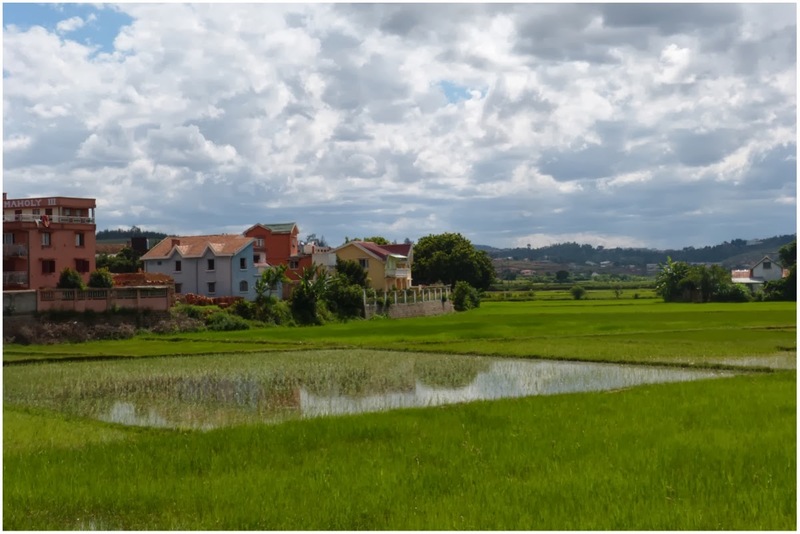 (1) Traditional painted red brick house amongst the rice fields. (2) If you don't have your own car, escaping the city means going on an adventure and grabbing a taxi-brousse (a must try experience for the adventurous as you get to travel with people and all sorts of live animals)! In amongst the countryside, there are also some amazing local businesses. 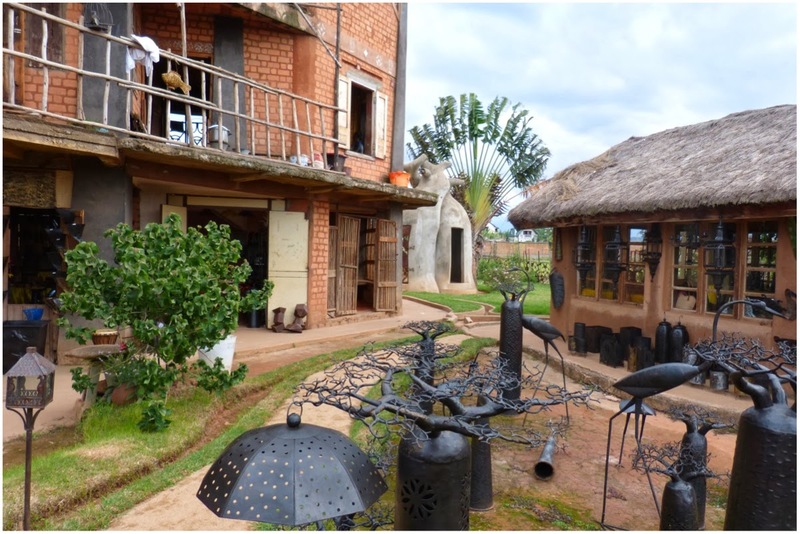 A particular one we stopped at was a workshop which got creative with metal - outside there were garden ornaments in all sorts of shapes [baobabs, lighthouses, grasshoppers, birds, etc.] and inside there were intricate lamps, mirrors, jewellery and more. What really touched me about this place was that not only was the workmanship incredible but the actual setting [meaning their office, shop and grounds] was just so special. The buildings are also built in a traditional style but with a twist, which meant lots of interesting shapes and textures. 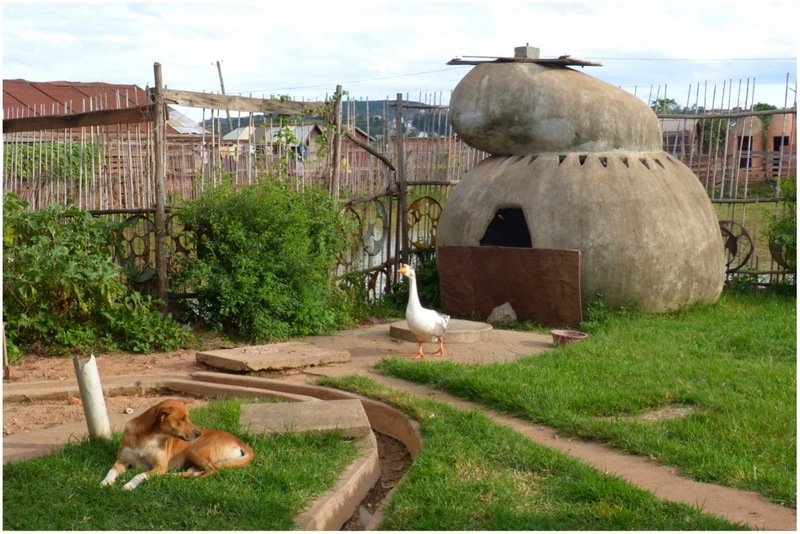 Some of my favourite parts were the baobab toilets and helicopter duck house. (1) Entrance and main house / shop. 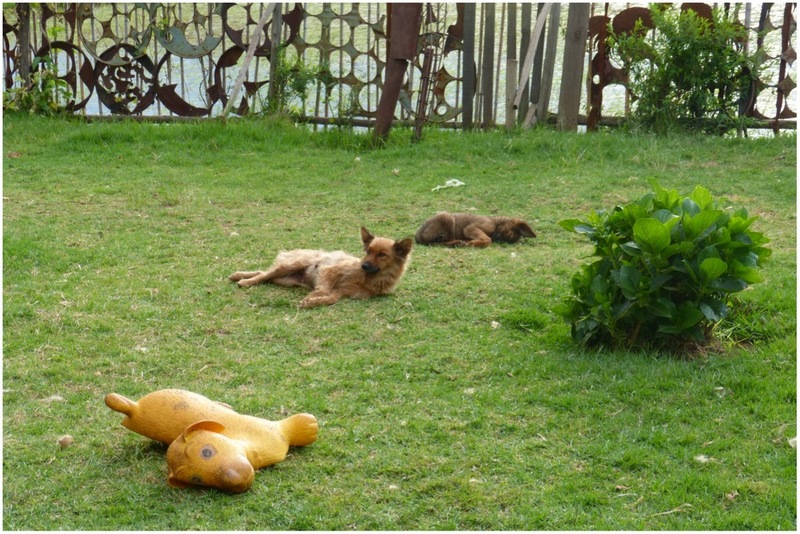 (2) Sleepy puppies. (3) Best friends: dog and duck. I was told they enjoyed playing duck duck goose together. Not really though, that just seemed like a nice story in my head. By car or by foot, exploring is my favourite thing to do! 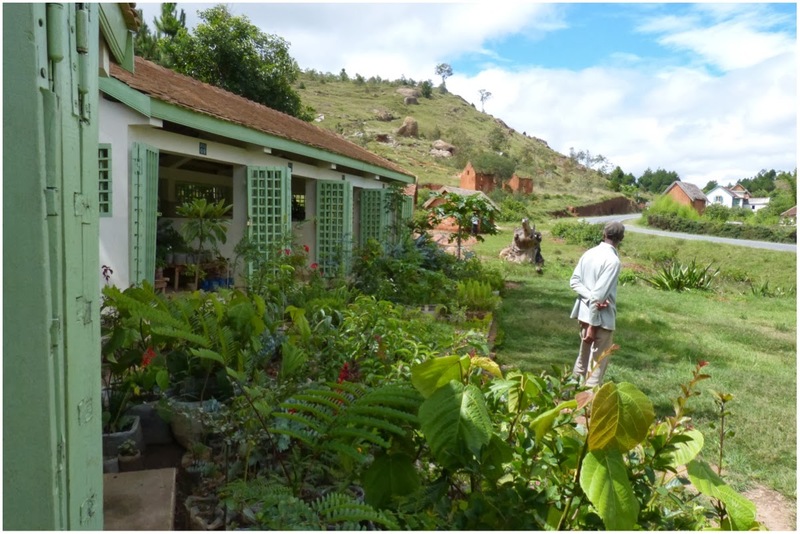 A few days during my stay we went right out of Antananarivo to get fresh air, fresh food and have a little relax from city life. 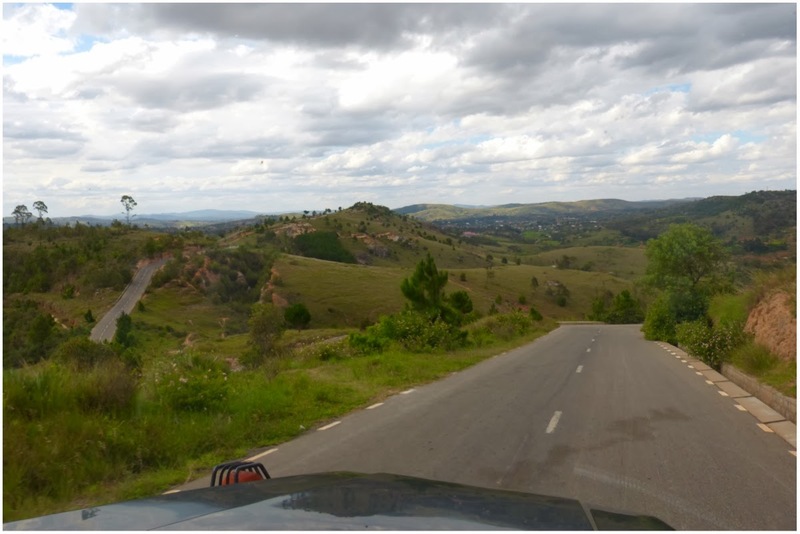 All I can say is that it was green green and green, with red earth of course, and I was definitely in my happy place :) (1) Winding roads in amongst the hills of the outskirts of Antananarivo. 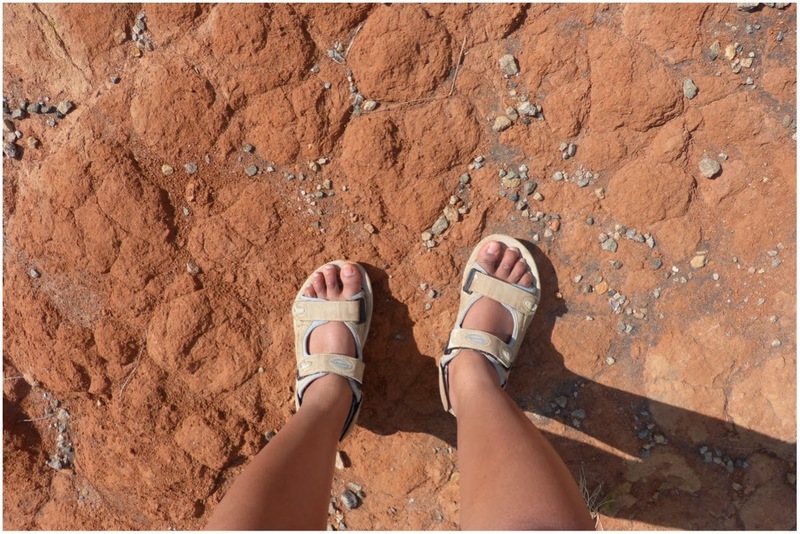 (2) My 4x4 chosen footwear for exploring [had to co-ordinate with the ride, obviously.] 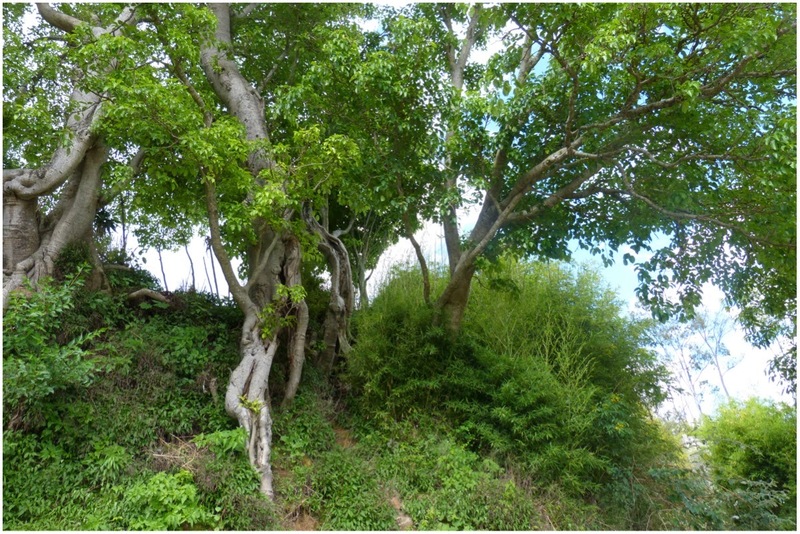 (3) Tangled trunk trees making beautiful shapes in the green. We discovered traditional little villages, with hundred year old houses still standing strong and livestock ruling the courtyards. Exploring also meant fun for our little friends from Antshow. 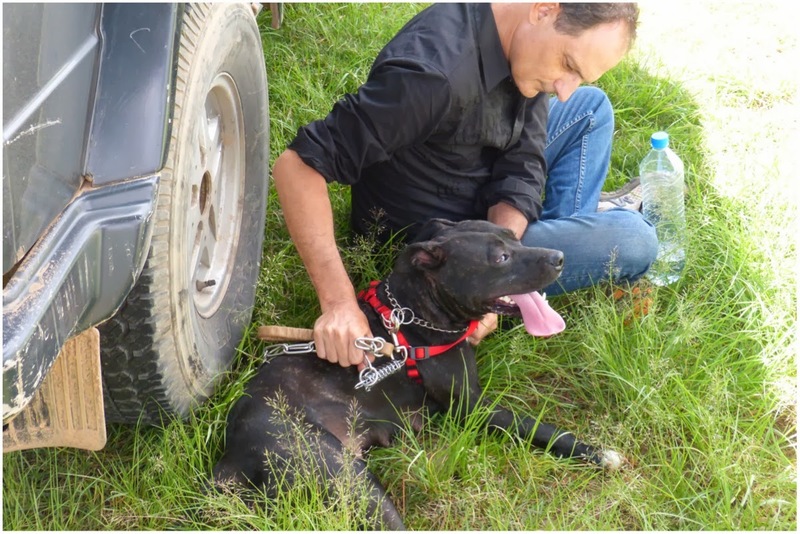 (1) This is Tchippie, the second American Amstaff that lives at Antshow, a one-year old hyper puppy [yes, puppy! ], who loves the outdoors and running up hills whenever she gets the chance. 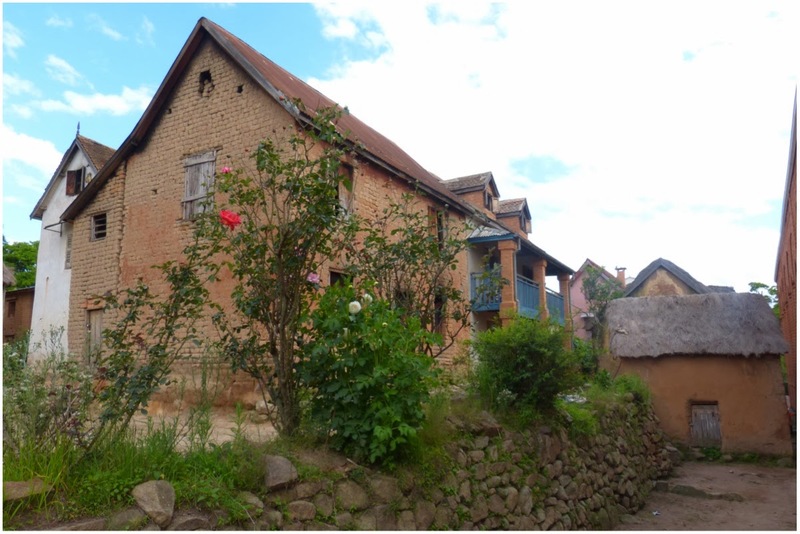 (2) Blue veranda red brick house in an old traditional village on one of the sacred hills of Antananarivo. 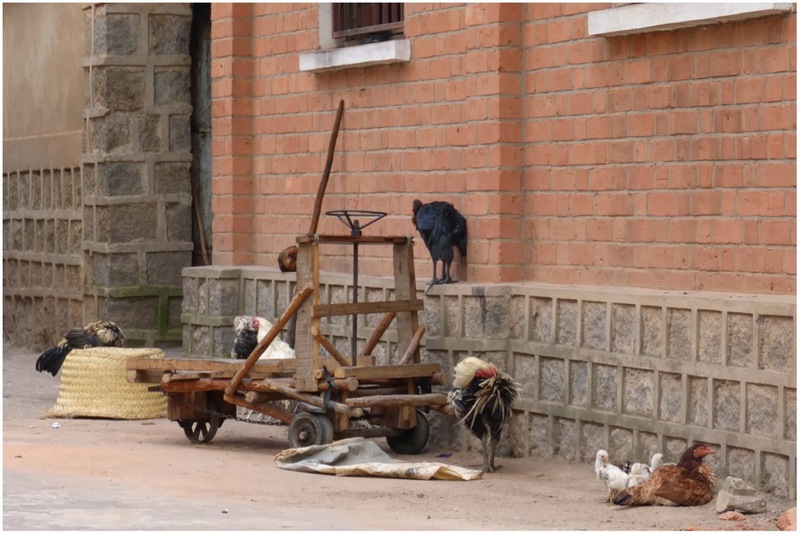 (3) Chicken run: the local poultry's favourite form of transport for everyday village life. Goes down really well with the chicks. It was a pretty incredible trip and I have made a pact with myself that I can't leave it too long before I go back again. 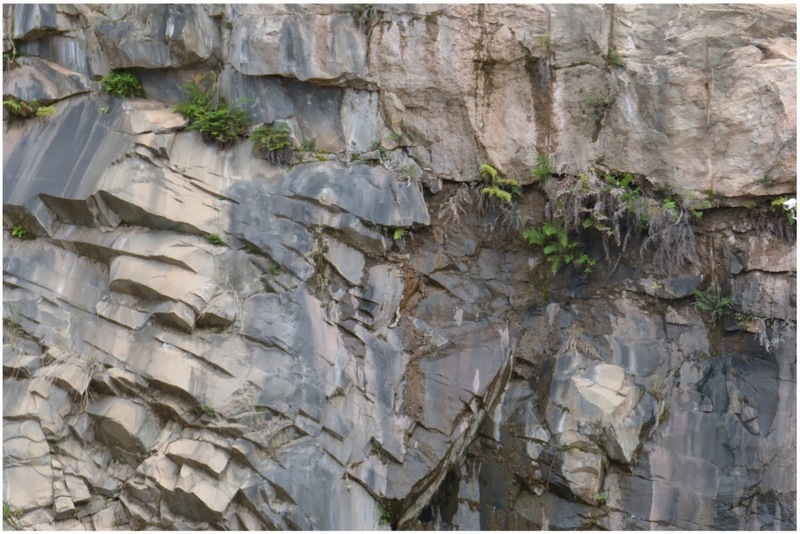 Madagascar is a vast and beautiful place, and I know I have so much more of it to explore. I cannot wait to go back. Even now, I am still missing how warm and welcoming it is. So, if you hadn't already thought about it, I hope this has given you a little taster or inspiration to hop on a plane and explore it too :) (1) It's so lush that even in the most unlikely places [e.g. a rock] there is green! Magic. (2) A valley of rice fields looking beeeautiful as ever. The rice lover's dream [i.e. me]. (3) Chilling in some tall grass, because I could. Part I of my recent m-adventure done. Part II will be coming shortly. This time, we'll be looking at the food. Yes, that giant elephant in the room: did I eat anything weird and how excited was I when I ate it? You'll just have to wait and find out soon. Watch this space. And, thanks for stopping by and getting through all of that!